I recently found a used book store over in the University District at Magus Books, and had a lovely time browsing the shop for quite some time. 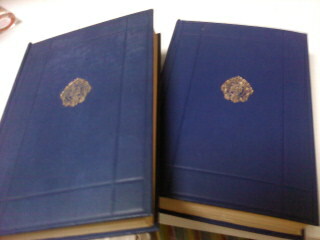 I was most excited when I found two old twin books from the same publishing run, Oxford 1932, for a very good bargain. 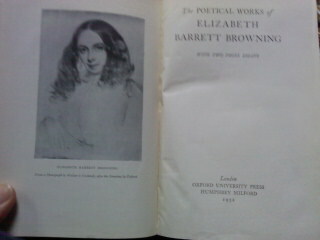 One is Robert Browning’s Poems, and the other is Elizabeth Barrett Browning’s Poetical Works. They are so fun I wanted to share them with you. Ta da! 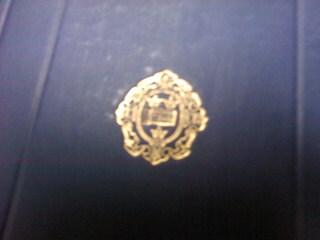 The gold insignia on the cover of each, very simple and elegant. Don't they look lovely there? I was interested in them originally because not only are they beautiful and well-looking together, but because of the titles. The super nerd in me noticed immediately that the titles are gendered. Apparently, despite finishing my masters, I am still interested in examining the language of gender. Not only does the second title sound more whimsical, it implies that the works are more sentimental, or more feminine. It could also imply, because it is similar but longer than the word “poems” that her work is “Poem- ish.” At first it doesn’t seem like an important distinction, but the more one thinks about it, the more of an interesting move the distinction becomes. 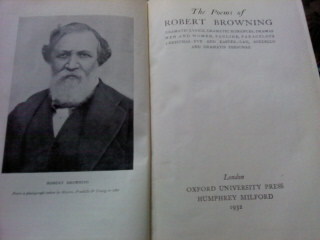 As you can see, Robert’s title page has more wording, and is more specific about the works included in his volume. Elizabeth’s has less specific information under the title, and just says “With two prose essays.” So, his work was definitely given a bit more title page respect, although I am not sure that EBB was as well known until later. I am wondering- does any scholarly reader or historian know when EBB was becoming more popular in the 20th century? I know that manuscripts I read certainly painted this couple as one of interest, and there seemed to have been a very large following of both RB and EBB, so I’m wondering when reception shifted. Of course, there was major bias in the discussion of EBB’s work in periodicals and etc., because she was not only somewhat foreign and seen as eccentric, but was also a female writer. 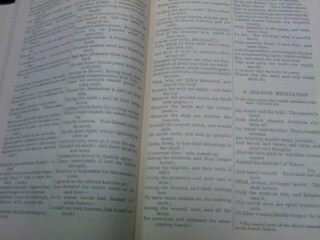 Both have sort of a newspaper or periodical quality to them, and are somewhat biblical in their formatting. Both books have similar font, and the same layout throughout. 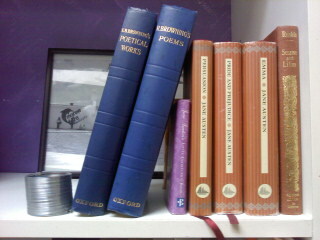 EBB’s is shorter altogether in page length, but many of her most famous poems like “cry of the children” are included. Hope you enjoyed my discovery, and if you know the answer to the above query, please pitch in through comments!